Companies have been talking big data for years now, but it is only now that they are using big data to drive insights to enable sharper business decisions. Data has become an inherent aspect of every business, now that storing and processing data has become even more economical. Processors of an iPhone today are faster than the supercomputers of the 1980’s. The advent of social media and online customer engagement channels has led to exorbitant quantum of information being exchanged every minute across the globe. This in turn has led to a huge potential in mining meaningful data and making sense of it for organizations who want their brand and marketing efforts to be focused and return out of the marketing investments. As we ride the wave of this new information age, we are driven my certain trends in data analytics. We have tried identifying some key ones out of the many and have listed them down here. Wearables Take Center-Stage: With an ever increasing demand and use for data across several industry verticals, it has become imperative for organizations to drive innovation in the most untapped of all verticals, i.e, biomedical. The extent of information that can be put to use from the human body knows no bounds, thus serving right for the launch of a diverse range of wearable devices which use the biological functions of the human body to collect and transmit analytics that can be used to track various functions like movement, energy, vitamin levels, blood sugar levels, etc. This would support and encourage preventive rather than curative measures of human diseases. Omnichannel Brand Experiences: Consider Apple. The day when a customer will consistently complain about an iPad and praise an iPhone is the day when Apple will defy its own philosophy of creating an omnichannel ecosystem. The same goes with data. A marketing manager allocates his / her budget across numerous brand engagement channels. The power of data analytics is harnessed to its utmost potential when a customer is able to associate with the brand across all the channels, at an equivalent level of satisfaction. Data Risks: Analytics is driven by data, and the more it gets accessible, the riskier it gets to keep it secured. With an ever evolving internet penetration and access to information, data fraud has been proven once and again that as the gatekeepers of data grow in number and credibility, the number and skill of gatecrashers are growing by the same rate. Though information security protocols have been around for quite some time, now is the time when the compliance and protocol standards will need to improve and evolve constantly. Widespread: Analytics is not constrained to a specific industry or vertical, but put to use across all industries, where data serves as the backbone for business growth and transformation. Of late, the primary industries that have put big data to use are Financial Services, Retail & FMCG, Biomedical Applications, Real Estate & Mortgage, etc. Data sets are different, analysis different too, but the conclusions help drive business decisions, all of which are data driven. Thus it leaves no space for assumptions or erroneous budget estimates. With a growing base of applications that are using analytics today, the list is sure to go up steep, and that need not follow a trend. Data Scientists & R: With data comes analytics, with analytics comes big data. 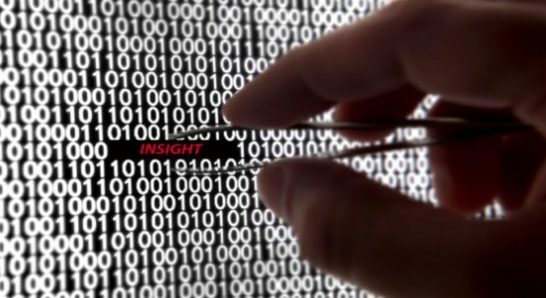 Big data and analytics go hand in hand while there are powerful analytics software and tools that are helping analysts to churn & tease insights out of data. While SAS and SPSS have been around for a while now, it is the open source analytics programming languages that are taking center-stage, like R. The R programming language is so powerful that it can generate complex charts and graphs that many time tested applications like SAS and Tableau take a hard pill to show up. With the advent of R, these analysts have been nomenclatured in the age of analytics as Data Scientists. While data scientists who code in R are not mere programmers like the earlier days of Java or Fortran, they are also equipped with sufficient domain knowledge along with strong statistical skills. According to Google Trends, Data Scientist as a career and R as a programming language is here to stay, and ahead, for a very long time.